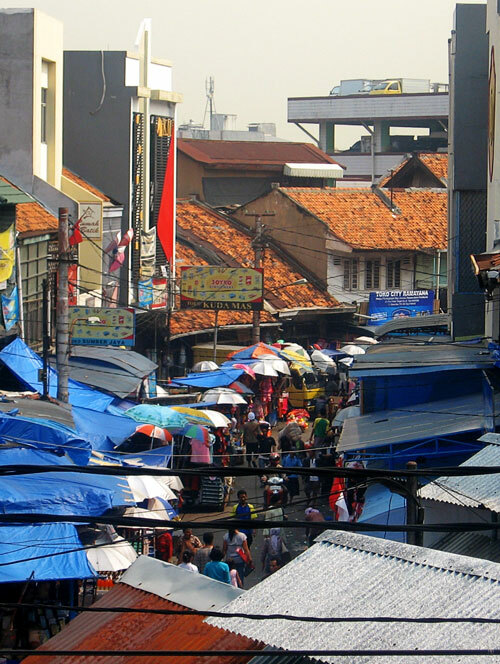 There are two places that i’ve known that are common to buy a large quantity of product for a general consumer, such as plastic, garment and cookery in Jakarta. The place is Tanah Abang and Jatinegara. 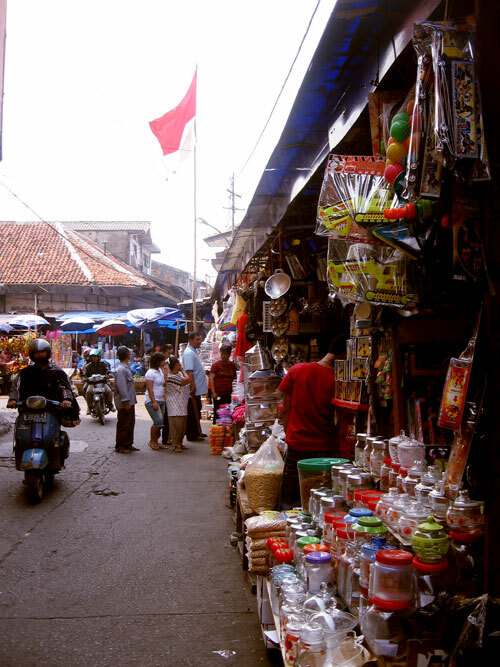 Tanah Abang is wildly known as a place for its cheapness in the old days, but because it’s transform into a regular mall, the cheapness now is questionable, you have to scourge the place to find the store that sells cheap. Jatinegara also have this kind of stigma, you have to scourge if you want to find store that sells cheap. 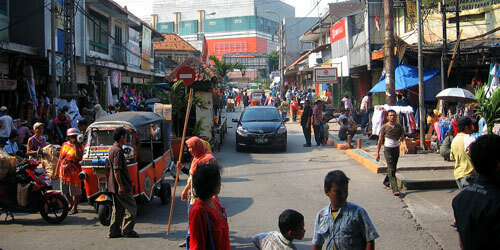 The current place that i’ve visited is Jatinegara, i’ve come here once or twice a month to buy fruit or garment. The place is quite crowded, the photo that i have is the “less” crowded version. The first time you come here you’ll going to notice that the place is really a mess. The only path to walk that you can take is in the middle of the street, the rest of the place was taken by merchant. The outside of the main building we are greeted with cookery merchant. this is one of the picture that i take on august, in our independence day. 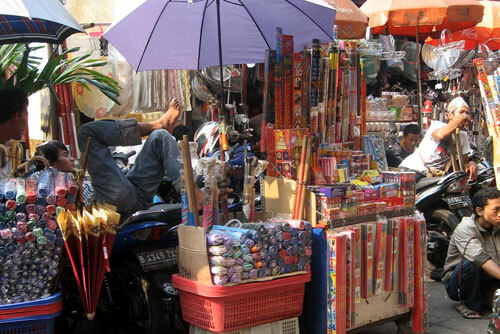 On the way home i found firecracker merchant. When I came here, I usually dont bring my car, because it’s quite hard to find parking space here. There’s a busway stop near here if you want to ride busway.